UFC President Dana White admits that an interim lightweight championship is a possibility with Khabib Nurmagomedov's situation. Mixed martial arts (MMA) fans might get an interim UFC lightweight champion before the return of Khabib Nurmagomedov. 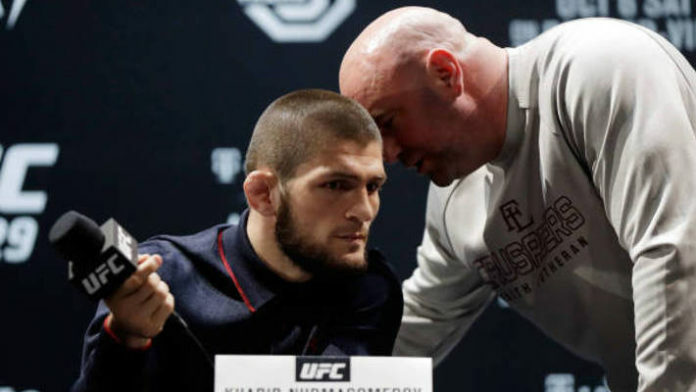 Khabib is serving a nine-month suspension for his involvement in the post-UFC 229 brawl against Team Conor McGregor in October. However, his teammates have each been given one-year suspensions for their own involvement. “Yeah, it probably would [make an interim title necessary if Khabib sits out nine-months for his teammates]. It probably would. Yeah. We’ll see how it plays out. I haven’t heard Khabib say any of that. He hasn’t said to me. What do you think about Whit admitting an interim lightweight title being a possibility in the near future?